Sant Kabir Das was born in the year 1440. 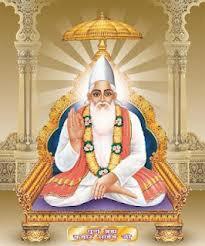 Sant Kabirdas was a famous poet, saint and social reformer of India. His writings have greatly influenced the Bhakti movement. Kabir Panth which is a religious community recognizes him as its founder and its members are known as Kabir Panthis, the followers of Sant Kabirdas.